that will help separate yours from all the others! especially when set on top of a fresh bed of green grass. 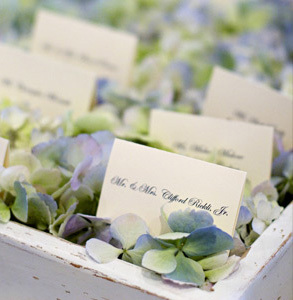 A layer of fresh hydrangeas set into a stressed, vintage wooden container creates an elegant look with a twist of shabby-chic. 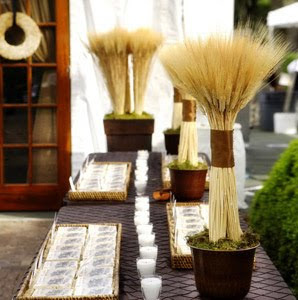 For a fall wedding, these tall stalks of wheat make quite the display. Even better, they can work double-duty at the ceremony. 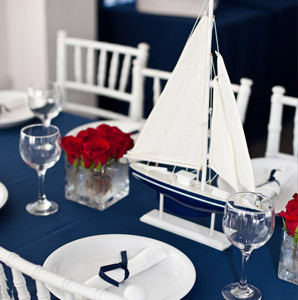 Don't be shy about adding in fun props to the table, especially if it works with your reception venue and theme, like this nautical-themed wedding in Virginia Beach. 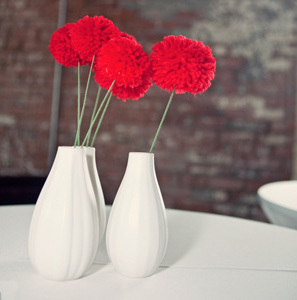 yarn -- but these bright red yarn-made flowers were a great way to spruce up the cocktail hour space at Kim and Zak’s wedding in Dallas, Texas. 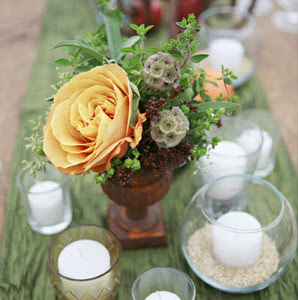 Who said votives have to look uniform? We like the way this couple from Oceanside, California mixed it up for a fun eclectic look. Patterned tablecloths are a great way to transform a not-so-typical reception space. 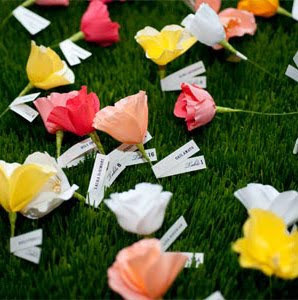 One decor trick to keep in mind: Stick with simple flowers so that they complement (and don't clash with!) the room. 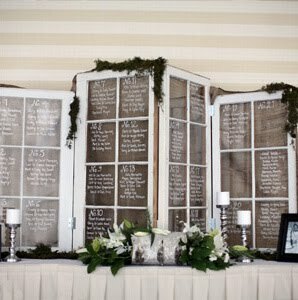 Using old furniture pieces (like shuttered windows, antique dressers, and coffee tables) is hugely popular as wedding reception decor -- and we love the way this display of white glass window shutters, trimmed with a little greenery, pulls off the trend. Thank you to The Knot for the tips! I like the idea of using antique collection as a motif for wedding. Maybe I can suggest this to my sister who' planning to marry John this coming December. They want to held their wedding in Denver. 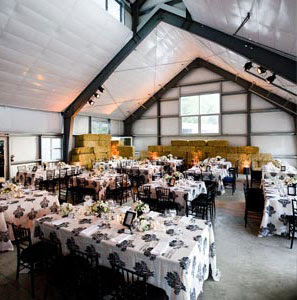 Wedding receptions there are really nice and we've been searching for the perfect Denver wedding reception sites. Hopefully, we will be able to polish everything in the soonest possible time!